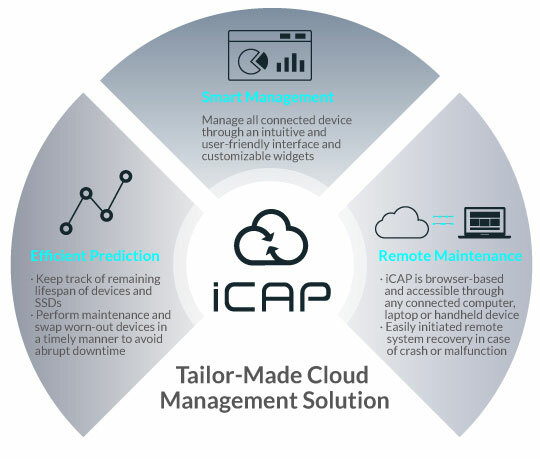 The Innodisk Cloud Administration Platform (iCAP™) is an intelligent monitoring tool perfectly suited for the new challenges of AIoT. The challenges are numerous; on one hand devices are increasing in number ,and on the other automation keeps reducing the need for manpower. These factors lead to an inevitable situation where only a few people have to manage countless devices, making timely maintenance more difficult which in turn leads to downtime. Likewise, edge computing and IoT are expanding into new sectors, necessitating customized approaches to ensure the most efficient management of solid state drives (SSD) and other components. The street lights of a smart city promise efficient energy usage and enhanced public security. 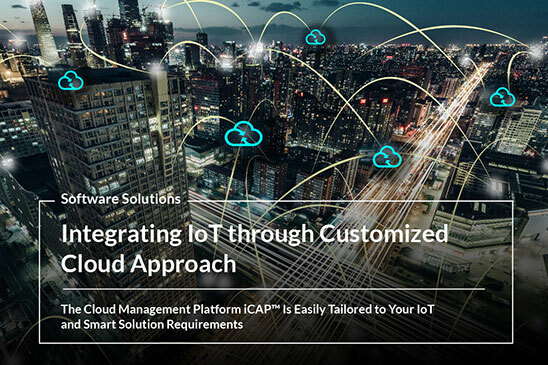 iCAP can add every single street lamp and components as a separate unit and add it as a map overlay, allowing for easy management of every connected device. The assembly lines of smart factories are fast-moving and fully automated, so when defect products are come through, they need to be handled accordingly. Using machine vision and AI, even the smallest discrepancies can be picked up, but the process is computing intensive. With iCAP, all machine vision cameras, SSDs and memory modules can easily be added and monitored from any device with online access, without having to physically inspect the equipment. Uninterruptible power sources (UPS) are batteries used in critical environments in case of sudden power loss. The facilities that employ UPS can be data centers or hospitals that can be very sizable, requiring an ample amount of batteries. With iCAP, every battery is monitored to check current status as well as remaining lifespan, thus simplifying the process of maintenance and swapping.